Do you love architecture? Do you also love to colour? 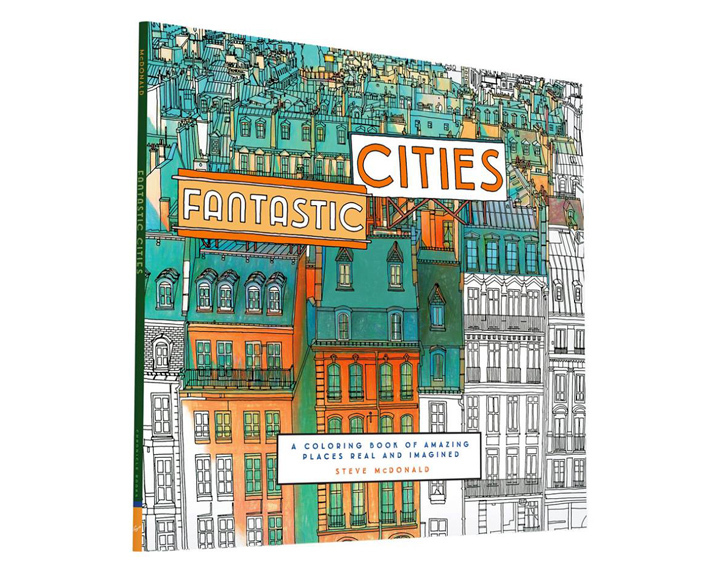 Then you’ll probably love this unique coloring book from Chronicle Books, which features immersive aerial views of real cities from around the world alongside gorgeously illustrated, Inception-like architectural mandalas. Artist Steve McDonald‘s beautifully rendered and detailed line work offers bird’s-eye perspectives of global locales from New York, London, and Paris to Istanbul, Tokyo, Amsterdam, and more. The adult coloring book’s distinctive large square format offers absorbingly complex vistas to color—nearly 60—including a selection of mind-bending labyrinthine architectural illustrations for deep, meditative coloring adventures and imaginative flights of fancy. Steve’s unique vantage points allow us to see habitation from a new point of view and further contemplate the effects of urban development and growth on the planet. The book is available for pre-order on Amazon and will be released this July. An architecture coloring book for grown-ups! An example of how the coloring book's pages can look. Amsterdam in all its color-able glory. Mont Saint Michel, after pigment has been added. An aerial view of a German city, ready to be colored in.